The Information Commissioners Office (ICO) has recently changed the way that it is reporting on cyber incidents to provide a more useful insight in to the different types of issue they are seeing. The ICO is reporting that between the months of April and June 2016 there were 50 cyber incidents, however these are only those that have been reported. As the new General Data Protection Regulations (GDPR)come into force requiring all incidents involving the loss of personal data to be reported, these figures are set to rise significantly, and so are the fines. Access controls, not applying the correct/or using inadequate security settings resulting in unauthorised personnel being able to view or even extract personal information. Unauthorised data transfer (exfiltration)from a data controllers system to another location which was controlled by a hacker. 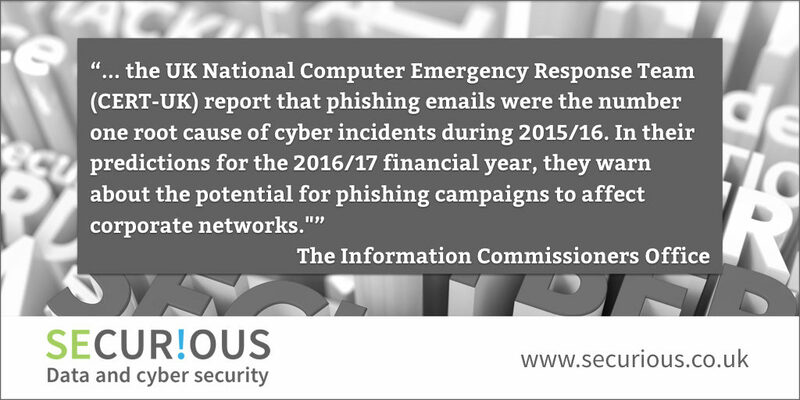 The ICO has highlighted that vulnerabilities often occur in organisations who have written their own code. This legacy code, as it grows older, and the organisation larger, is not reviewed for vulnerabilities and in this case lead to several website attacks. The ICO advice is that there is no one single measure that will provide sufficient protection, but by employing several different measures you will create a better defence. The ICO reported fie incidents of DDoS between April and June 2016. These involved a large amount of traffic being driven to website which overloads it so that it ceases to work. This is often used as a distraction technique to facilitate other attacks in the background. DDoS is increasingly being used as an extortion technique and can also be used as a distraction tactic in order to execute other attacks. CERT-UK advise that DDoS attacks are a particular problem for the financial sector, and predicts that 2016/17 will see the biggest DDoS attack ever. Finally three incidents were reported by the ICO for failing to secure websites used for collection and transfer of personal data with HTTPS secure encryption. It will be interesting to look at the recommendations from the ICO, especially in light of GDPR, as more and more incidents are reported and whether in the future they will consider using the government backed Cyber Essentials scheme as a base line security measure for all organisations registered with the ICO. Responsibility for cyber security can not be outsourced, the board needs to take control.